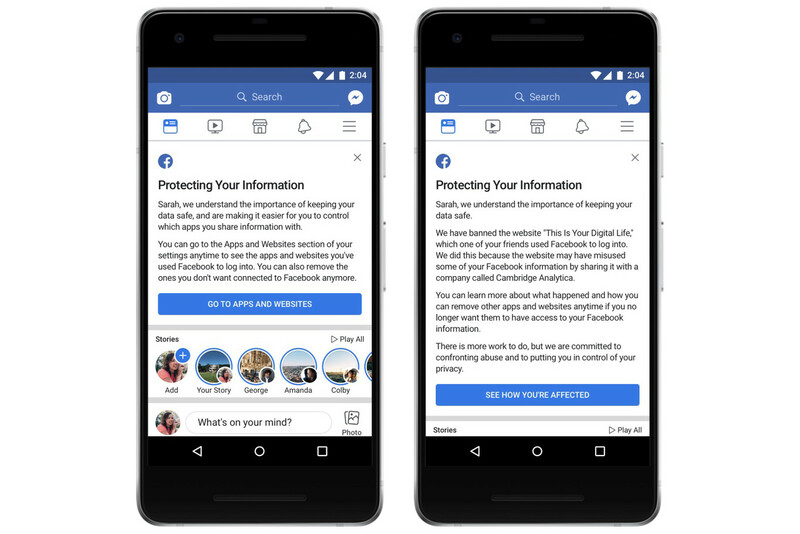 If your data could be used or improperly collected by the British firm Cambridge Analytica, Facebook will tell you as of this Monday . The company plans to inform the 87 million users potentially affected by this information acquisition through the social network itself . It will do so by means of a message that will appear at the beginning of the Facebook news timeline , in the main feed . We have banned the website “This is your digital life”, in which one of your friends used Facebook to connect. We did this because the website may have misused part of your Facebook information by sharing it with a company called Cambridge Analytica. 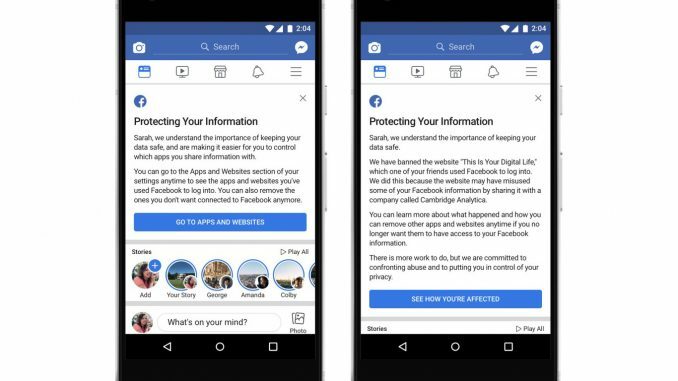 You can learn more about what happens and how you can remove other applications and websites at any time if you no longer want them to have access to your Facebook information. Pressing a button, Find out how it affects you , users can learn more about the situation and take action against other websites or applications connected to your social network account. The majority of those affected by the Cambridge Analytica scandal are in the United States, accounting for 81.6% of the total, but countries also have users exposed to this unauthorized data collection . Specifically, in Mexico the potential affected are close to 790,000, while in the figure remains at around 137,000. The event is investigated both in one country and in another country . To the rest of the users of Facebook, around 2,200 million worldwide, they will also be urged to review the websites and applications connected to their profile of Mark Zuckerberg’s social network through another message located at the top of their chronologies. It will be seen from today. Following the same steps we explained a few days ago to eliminate applications and connected websites , users can prevent third parties from accessing their profile data. It will also be possible to disable the ability to interact with applications, websites and games on Facebook , an easier but also more drastic measure, since it can generate problems when using these services later.